Starting a new job in the producer’s office at the prestigious People’s Theater, Erica Duncan soon discovers that the position holds more drama than expected. In search of its next big hit, the theater is presenting Michelangelo: The Musical, focusing on the life and loves of the artist. When an unassuming co-worker is found murdered in the theater lobby, her body posed in a copy of Michelangelo’s The Creation of Man, this is the kind of publicity that the show does not need. 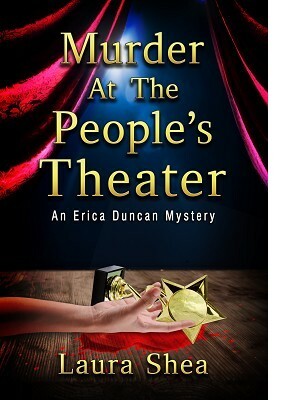 At the People's Theater, Erica assumes the role of detective, never an easy part, especially in a place when almost everyone is an actor, and self-invention is a way of life. Murder at the People’s Theater is also a story of mothers and children, from Michelangelo and his mother, and the actors who play them, to the birth mother who has no interest in being found by the daughter she gave up for adoption 20 years before.